The Jolly Roger is a two-thirds replica of Christopher Columbus’ 15th century Galleon Nina, which crossed the Atlantic on three occasions. 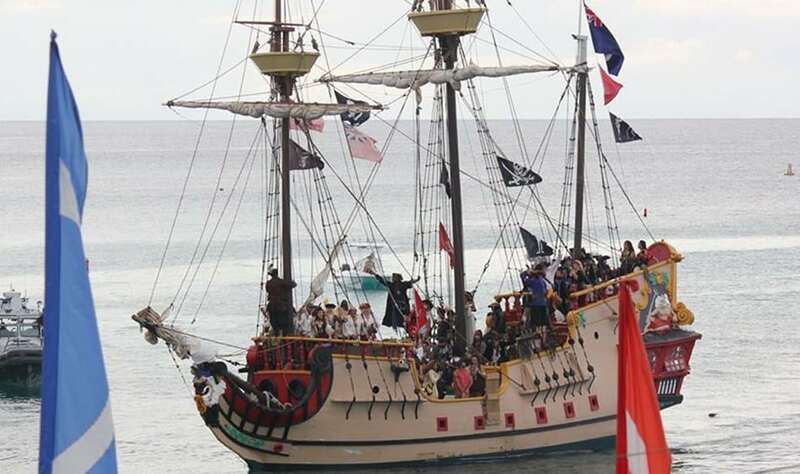 The Jolly Roger was privately commissioned and built in 1986 in St. Petersburg, Florida, and christened the Lady Barbara. The original owner had such strong feelings for his wife that he had the ship’s figurehead sculpted in her likeness. To this day, Lady Barbara still graces the bow of the Jolly Roger.